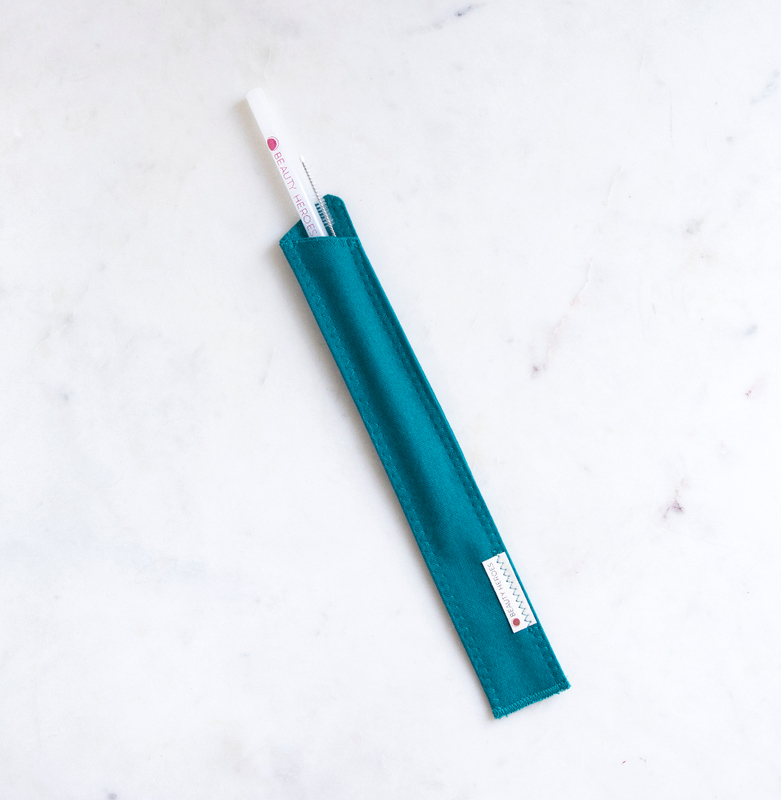 This custom sturdy Beauty Heroes straw sleeve made of durable organic cotton is the perfect protector for your glass, metal or bamboo straw. 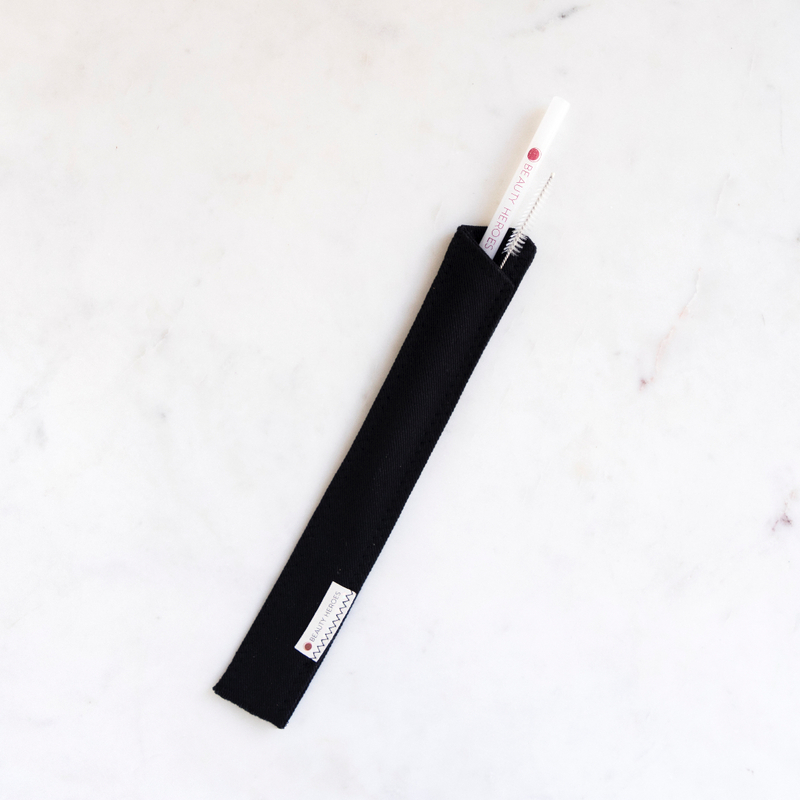 It fits up to 2 straws comfortably (one for you and a friend), so you can take your favorite straws wherever you go. 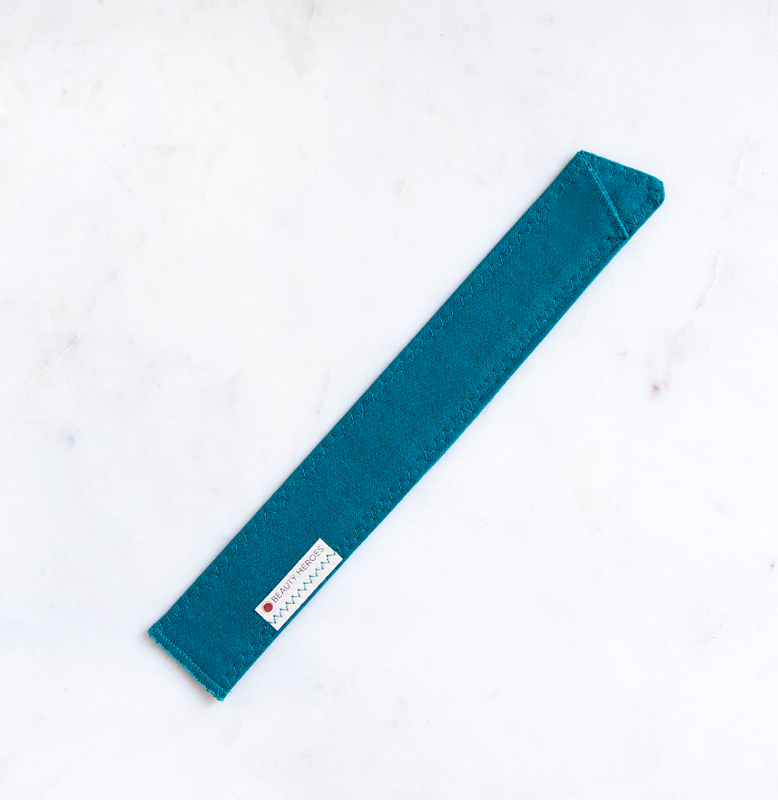 Straws sold separately, this product is just our custom Straw Sleeve in teal or black sewn by hand in the U.S. especially for Beauty Heroes. 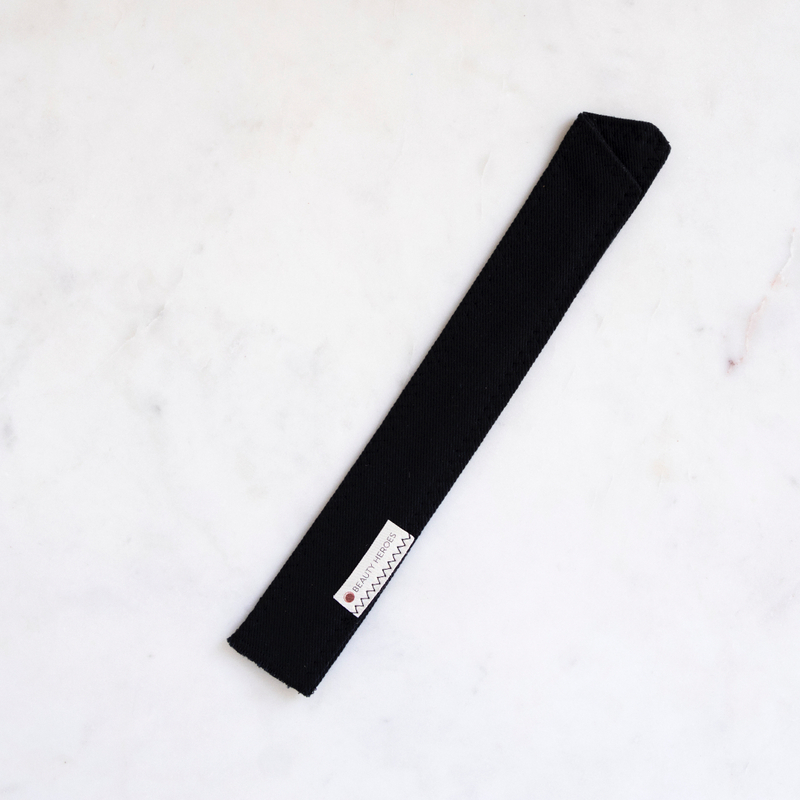 Use Less. Love More. Hero On!